Introduction: Laparoscopic adrenalectomy (LA) has become the standard for removal of most adrenal pheochromocytomas (pheos). However, laparoscopic (LAP) resection of extra-adrenal pheos or paragangliomas has been reported only anecdotally. 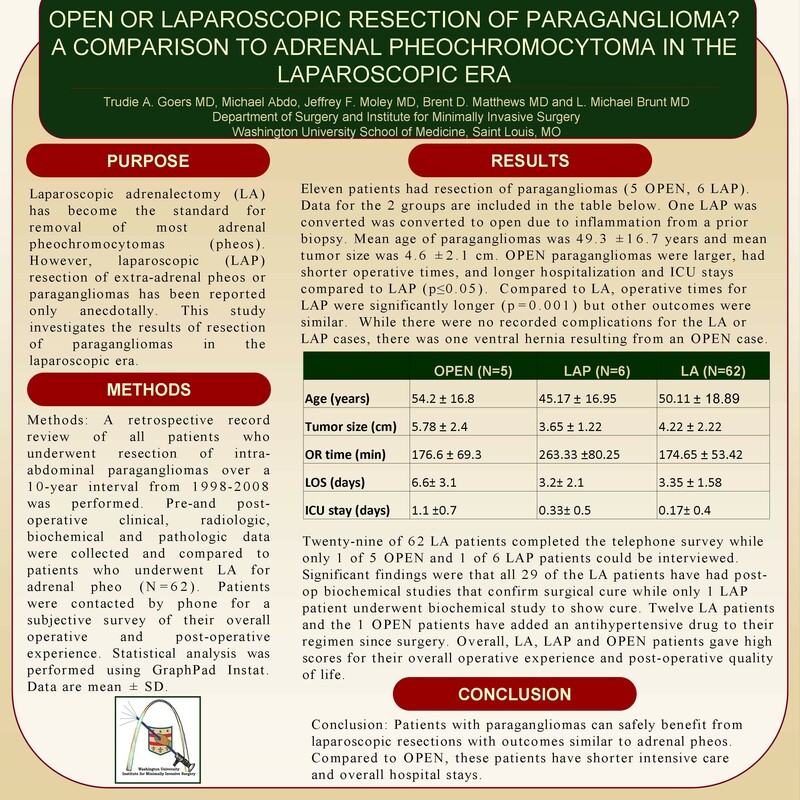 This study investigates the results of resection of paragangliomas in the laparoscopic era. Methods: A retrospective record review of all patients who underwent resection of intra-abdominal paragangliomas over a 10-year interval from 1998-2008 was performed. Pre-and post-operative clinical, radiologic, biochemical and pathologic data were collected and compared to patients who underwent LA for adrenal pheo [LA Pheo] (N=62). Statistical analysis was performed using GraphPad Instat. Data are mean ± SD.